Keloids are abnormal wound reactions of connective tissue. Auricular keloids can develop as a result of, e.g., otoplasty, ear piercing, or skin trauma. A wide variety of therapeutic options exists, including surgery as primary treatment. Furthermore, there are medical, physical, radiotherapeutic and experimental options. The present paper focuses on the different techniques including the therapeutic outcome and quality rating for each chosen pathway. In addition to the experience of the university hospitals, a thorough review of the literature was performed in order to update and compare today’s therapeutic options. Surgical techniques are customized to the lesion’s specific localization and extent. They may include revision of otoplasty. With medical treatment, established modalities such as steroid injection have to be distinguished from experimental methods like interferon, 5-FU, verapamil, imiquimod, or mitomycin C. Radiation is generally accepted to be effective, especially applied accompanying surgery, but needs to be restricted due to possible side effects. Physical therapy, e.g., pressure in a variety of application modalities, has gained a profound position in the therapy of auricular keloids. The success rates of the different treatment modalities vary markedly, and the number of patients per study is considerably low. 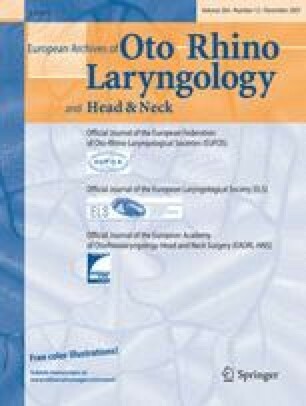 Resuming the results, a periodic follow-up and good patients’ compliance are mandatory to early realize and treat auricular keloids. However, studies are needed to evaluate accepted and experimental therapies including larger number of patients.